You have or maybe currently are developing a mobile app. Good for you. No doubt it took lots of hard work and long hours and now it’s time you see some reward for your time and mental energies. Obviously, one way to make money online is to charge people to use it. This is not always the best route to go. As people may be hesitant to buy something from a company they don't know or that they cannot test out first. The following are ways, other than just straight selling it, that you can monetize your app. Not every option is going to work for you. So it’s important you’re aware of your market and its limitations, preferences, and habits. Try one or all of them out today to see. The most common way to monetize an app is by including advertisements inside the application. Since this is a popular option there are myriad companies that serve a wide variety of in-app ads. Ad placement and banner sizes can impact your results. Test and find find one that works for you. 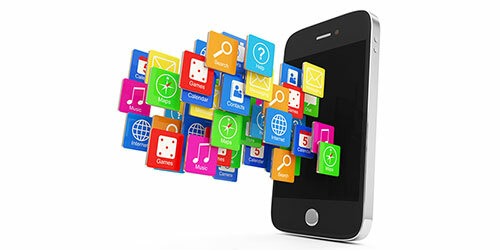 Many app developers give users the option to download an app with ads for free. Then have a paid version for those who do not want the intrusion of advertisements. For some, not having ads to distract them is worth it and you will turn gain a fast profit. Others will want the option for the free app but will still make you money in the long run. More and more, especially with games, app developers rely on users that spend a lot of time using their app. This in return drives the customer to complicate longer to purchase additional content. The idea is similar to the business plan of a Las Vegas casino. If a small group of people makes up a large amount of income. They can afford to create a great experience for everyone. This is done with in-app purchase upgrades and premium content. It targets the passionate users that will gladly pay where others may not. This could be enhancements to the game, more levels, or bragging rights to other users. Pokemon Go is a great example of this. Where they offer all the in-game items for free. But if you don't want to wait or find certain items they are all available to buy in their in-game store. Another method of app monetizing is giving away bonuses for completing exclusive offers. These offers may include signing up for a Netflix trial or downloading an app or game of a partner developer. Doing these partnerships, users have the options of getting extra features in their game. This could potentially gain them access to a new service for a discounted price. For the app developer, they will get paid by per lead or an affiliate commission on each sale. When discussing this topic with a colleague I immediately thought of the ESPN family of apps. ESPN offers tons of different apps, most of which are free and have minimal advertising. All are well built, functional, and popular. They can afford to do this because they are using their apps to raise brand awareness. It’s about sending traffic to their website and gain more ratings on their TV programs. In return, they are getting more revenue from media advertisers. More and more companies that have products to sell are jumping on this trend as well. Pay a good developer to create an app and stick your brand on it. If it does well and is truly of value, reap the rewards of increased sales and awareness. Websites that peddle content may do similar things by creating apps. Focusing on bringing the content to their readers easier and mobile friendly. While still funneling them to the main money making website. Like most websites, you can create a nice revenue stream by building an email list. This gives you a one-way ticket to contact your target audience with advertisements, affiliate offers, or direct sales. Using your app to build your email list is a high converting channel. By having users sign up and log in to use or play is a common and effective way to gain information. What are some ideas you have for monetizing an app? Let is know in the comments section below.